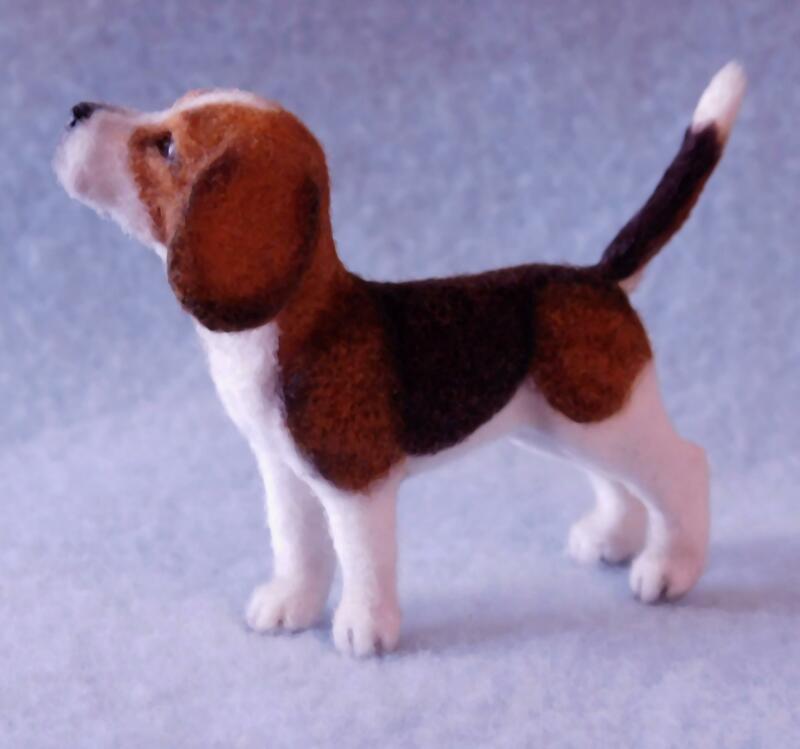 I've overlooked making a beagle over the past few years so I thought it was long overdue. 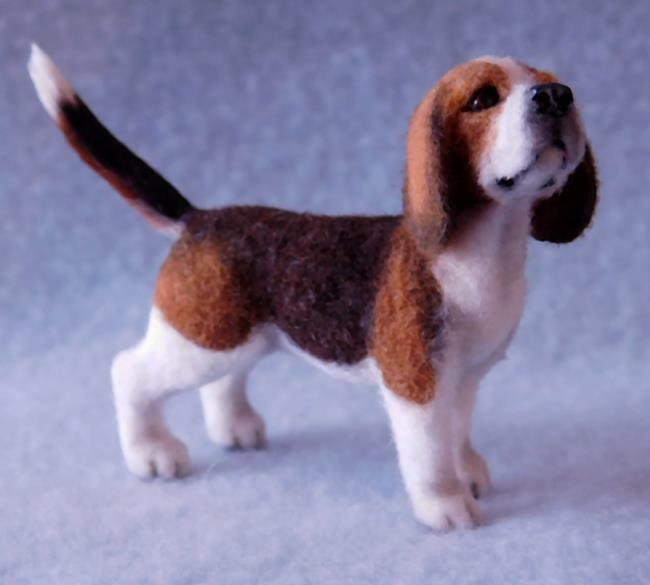 I first carefully sculpted him in polymer clay, painted the details with acrylics then applied hand cut alpaca flocking until he was finished. 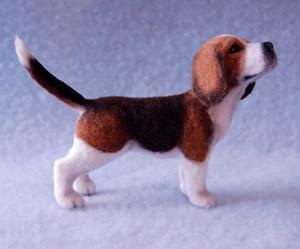 I made his eyes in a separate process and cured them into the sculpture giving him a lifelike appearance. The new owner will receive a digitally signed certificate of authenticity that may be verified through the ebsq site. 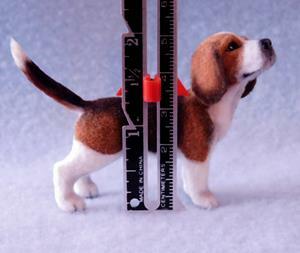 This would make a great addition to your original dollhouse or beagle collection!